Blackened Green Beans with Spanish Chorizo, Pine Nuts and Fresh Lemon Zest is a great way to reinvent those fresh green beans that are ripe for the picking – this will be your new favorite side dish! So if you a) have a vegetable garden or b) have gone to the grocery store lately, you know that it is officially “green bean season.” If you have a vegetable garden, which I do, there is nothing quite like picking a fresh green bean off of the vine and chomping down on it – soooo good! But, even I have to admit that after about 5-10, you are kind of good to go. What in the heck am I supposed to do with the rest of these green beans? Well guys – read on, because I think I just came up with our new favorite summer side dish! 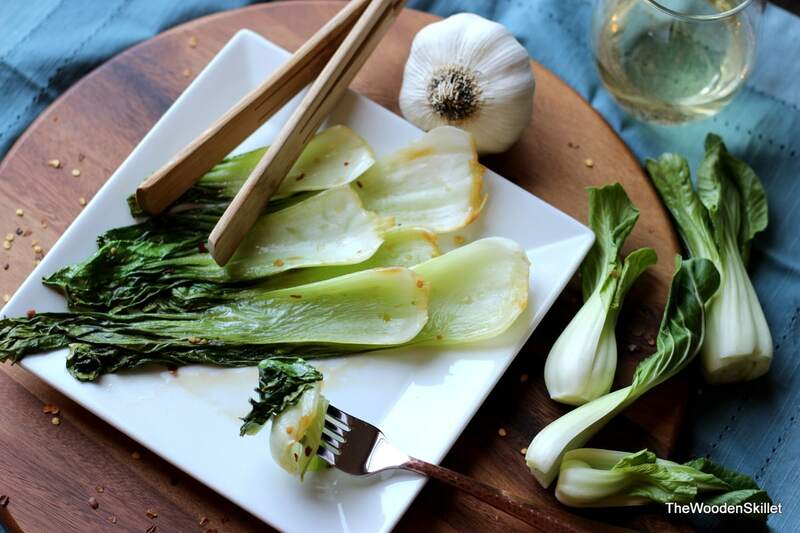 Braised Boy Choy – a simple and delicious side dish with an Asian flare! Can’t wait for you guys to try this super easy side dish!